Patients come to us all of the time looking for relief from uncomfortable foot pain. Foot pain can be felt in the arch, on the top, or on the side of the foot and is often caused by the repetitive strain of the muscles, ligaments, bones, and tendons in your foot. 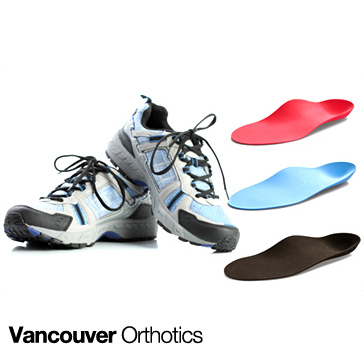 Unsurprisingly, foot pain is the most common symptom we treat here at Vancouver Orthotics, and with great success! We continue to hear positive feedback from patients whose new custom orthotics have either alleviated or gotten rid of their foot pain completely. If you are suffering from chronic or new foot pain, give us a call and set up an orthotics consultation today! Dr. Michael Horowitz offers a 5-Step process for relief & treatment of Foot Pain (top of foot pain, side of foot pain) in Vancouver. 1) consultation & postural examination, 2) electronic gait scan analysis, 3D foot scan & biomechanical evaluation, 3) custom orthotic fitting, 4) orthotic dispensing, 5) follow up care. Call me at 604-737-3668 to discuss further or email Dr. Michael at info@vancouverorthotics.ca to take action & solve your Foot Pain today.